Log Cabins For Sale In Utah - Moab, Park City, Bear Lake and More! Whether you are looking for an amenity-laden cabin estate, or authentic timber-framed log cabins for sale in Utah, we’re excited to be on the journey with you. If you already have a pretty good idea of what kind of cabin you want, you can browse listings below. Or if you’re still deciding what kind of cabin would be the best fit for you, you can check out our brief recommendations here. We’re thrilled that you’ve included us in the search for your cabin. We have found that what helps people the most is to keep it simple–so let’s break your search for a cabin in Utah down to 3 general steps: location, property features, and cabin amenities. Location – Where Do You Want Your Cabin? Both locations are spectacular, and have a lot to offer. The Wasatch Front offers some of the best ski resorts in country, breathtaking alpine meadows, fishing, lots of wildlife, and cooler temperatures throughout the year. 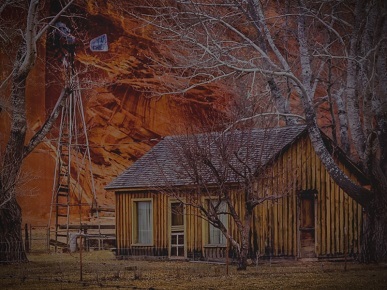 Cabins in the red rock country of Southern Utah give you access to some world famous hiking and biking, national parks (Zion’s Canyon, Bryce Canyon, Grand Canyon), warmer temperatures, and absolutely stunning rock formations. 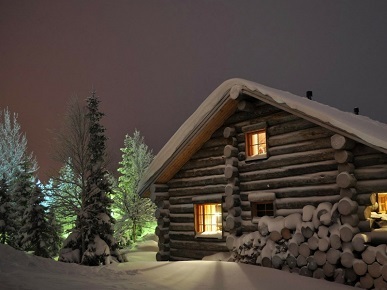 Where you choose to buy your log cabin is completely up to you, and the good news is that no matter where you are, almost all of Utah can be accessed in a 4-5 hour drive. The features of the property that surrounds your cabin can be extremely important, and definitely deserve some consideration. Would you like to be on a large piece of land, or is that not crucially important? Does the property need to be remote? Are you hoping to have a cabin with some kind of water on the property? Wooded areas? A view? Paved access road? Is it important that your property is fenced? Or, after consideration, are you not as concerned about specific features that a property has to have? It may be that the general location of your cabin and the structure itself are more important than specific details of the property surrounding it. Spend at least a little time thinking about how you might use your cabin’s property, and any specific needs there might be. What things do you absolutely have to have, what things are not important, and what things are “nice to haves”, but not deal-breakers? 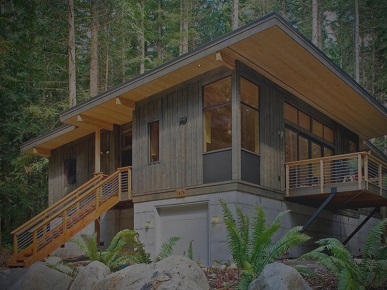 Now that you have a good idea of where you would like to find a cabin for sale, and what kinds of property features are important, now it’s time to turn our sights to your cabin itself. Here again is a fairly pronounced fork in the road, that we encourage everybody to be honest about. Basically, are you looking for a cabin that is newer, larger, hooked up to utilities, and has the niceties of a city home? Or are you ok with a more authentic, “cabin’s cabin”–rougher built, possibly off-grid, usually older and smaller log cabin? There are obviously “in-between” options, but it’s good to be honest about which of these 2 cabin types is really the essence that you are looking for. The good news is that no matter which of those two types of cabins you are after, there are plenty of gems to be had here in Utah (Seriously!). As you would likely assume, you can expect significant price differences on the spectrum between the two, but as long as you’re honest with yourself about what you really want, both types of cabins can provide an incredible backdrop for great times with your family and friends. Red rock country of Southern Utah, or alpine mountains of the Wasatch? What are the 2-3 most critical things about the property? It’s helpful to take a few notes as you plan, but even if you don’t write these down anywhere, just going through the thought process helps tremendously as you start going to look at properties in person. One final note to consider, is that if you are open to having less square footage in your cabin, several companies are now offering small “cabin kits”, that can be assembled with just a couple people and some hand tools. The finished product can actually turn out quite nice. This can be a good solution for people that already have property, and/or are looking to save some cost. Now, send us a brief email, and let’s get started finding your cabin.